Don’t want to be a beginner forever? You MUST practice, especially tango, more than any other dance. A “Practica” is a practice Tango dance, were you can stop in the middle of a song, talk, try again, and work it out. You can also collaborate on the sweet moves you are working on with fellow Tango enthusiasts. Join the fun every Wednesday night at ATOMIC Ballroom in studio B 9:15 PM – 11:30 PM. We start off with a beginning lesson. This is the perfect place for people new to tango and tangueros who need a refresher on the basics. The beginning lesson is followed by the intermediate class where you can hone your basic skills into more complex combinations. 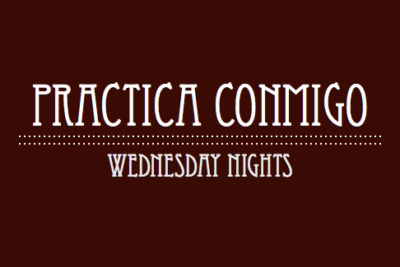 Practice all the skills learned during your lesson at our practica at 9:15p. $7 (includes admission to Salsa ATOMICA). $13-$15 when there is live music downstairs or just $6-$8 if taking a class.